Have you been hearing scratching, scuttling, or squeaking noises around your home? Do you notice teeth marks along baseboards or on electrical wiring? If so, it’s possible that you have a rodent infestation. Mice and rats can take up residence in your home and create a dirty, dangerous environment. Rodent extermination in Pleasanton, California is a necessity if you think you have an infestation, as the problem will only get worse if you ignore it. By rodent proofing your home, you can reduce the chances that you’ll have unwelcome visitors, especially as the temperatures get cooler. Keep reading to learn why you should deal with a pest problem by calling an exterminator right away. In addition to the creepy feeling that their presence can give you, rodents can cause serious damage to your home. Rodents nest in areas that are warm and dry, such as in your attic insulation or behind your oven. A mouse or rat nest is typically surrounded by their excrement, which can ruin your insulation and other surfaces where it collects. 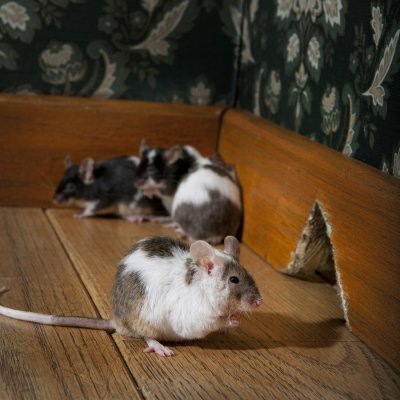 Mice and rats also chew constantly to keep the growth of their teeth in check, and have no problem gnawing on baseboards, drywall, wooden beams, and other important elements of your home’s structure. If you wait to get rodent removal, you could be looking at the need for serious home repairs. Mice, rats, and other rodents can carry diseases, making them even more unwelcome in your home. Rodents are known for leaving their droppings everywhere they go, which can make it easier to spot the signs of an infestation. However, their droppings may also be out of sight, and as they dry, they can become airborne as part of the dust in your home. Contact with droppings can make you and your family sick, whether it is through breathing them in or actually touching them. By utilizing an exterminator at the first sign of a rodent problem, you’ll be minimizing the health risks for you and your family. It sounds like the stuff of nightmares, but it’s true: you could open your toilet one day to find a rat staring back at you. If this happens to you, call the experts in rodent prevention in Pleasanton, California to keep the problem under control. Watch this video to learn how a rat could make its way into your toilet. Rats are often found in sewer systems, and are excellent swimmers. They can even hold their breath underwater for up to 3 minutes. As rats traverse the sewer systems, they could end up in pipes that lead directly to your home. Pockets of air within pipes give them the air they need to continue until they emerge in your toilet, giving you quite a surprise. Practice good rat control methods to keep your home free from rodents and research rodent proofing options as necessary. When you are creating a rodent prevention plan for your home, you will want to address your exterior spaces, such as your garage. This video demonstrates some steps for rat and mouse proofing a garage shed. By mixing a spicy pepper spray and applying it to key areas around your garage shed, you can make your space unappealing to rodents. A company offering mouse proofing in Pleasanton will be able to provide you with additional rodent exclusion tips. If your home is experiencing a rat or mouse problem, do not wait to contact a mouse control company. With assistance from a team of experienced exterminators, you can make sure that your property is completely clear of rodents. From rodent prevention to mouse extermination, your team can provide you with a range of services. Can Fencing Help to Deter Pests? When you are struggling to keep wildlife away from your home and yard, you may want to talk to your exterminator about the possibility of building a pest proof fence around your property. Certain pests, such as mice and rats, will not be deterred by fences. However, larger creatures, such as skunks and raccoons, may avoid your yard once it is fenced. A company that offers mouse removal in Pleasanton can work with you to design a fence that is targeted to your specific pest problem. In order to decide whether a fence can assist you with your pest issue, you will need to consider the type of creature that is invading your yard. Some of the most common wildlife invaders are too large to fit through the boards of a sturdy wooden fence. Any creatures that are able to burrow or dig, however, may be able to get around your fence. 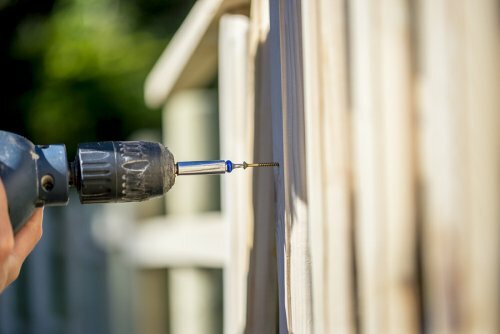 An exterminator can answer any questions that you may have about the benefits and effectiveness of fencing your property.